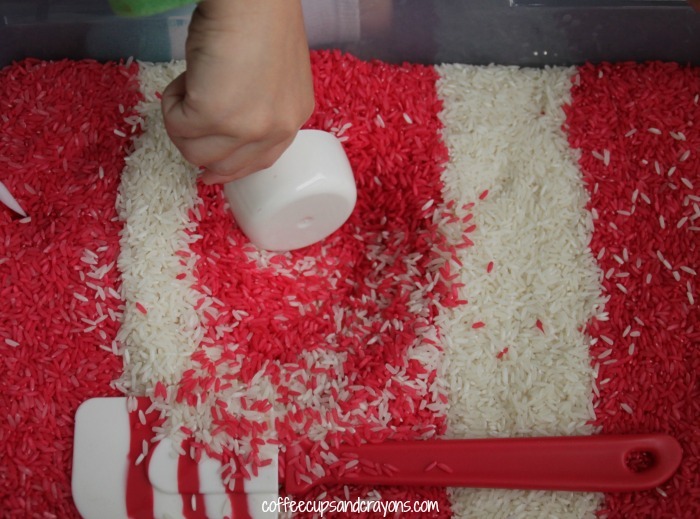 An candy cane scented rice sensory bin is a must have for any house or classroom with preschoolers. Especially this time of year! 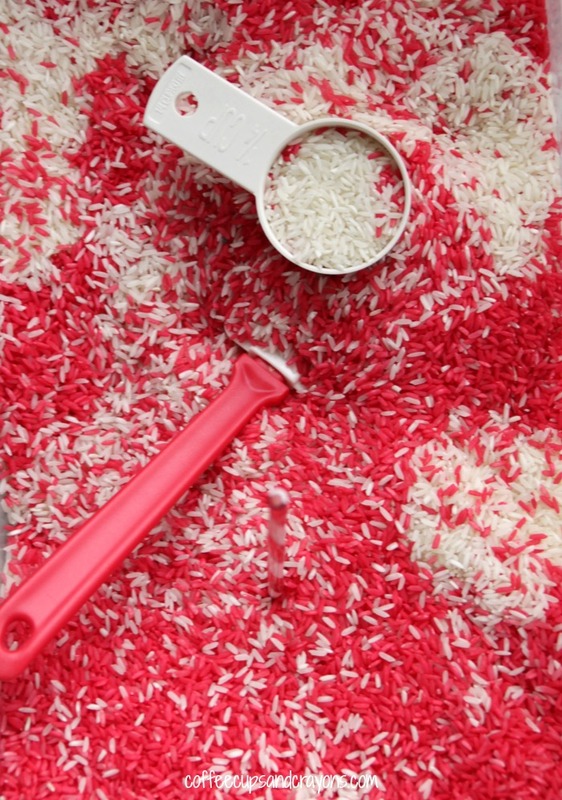 There’s a reason that rice bins have been a sensory staple in preschools for decades–they have so many benefits for kids. They engage their senses while helping develop problem solving and fine motor skills. Plus they are so much fun to play with! It sounds too good to be true, but luckily for parents and teachers everywhere, it’s not. 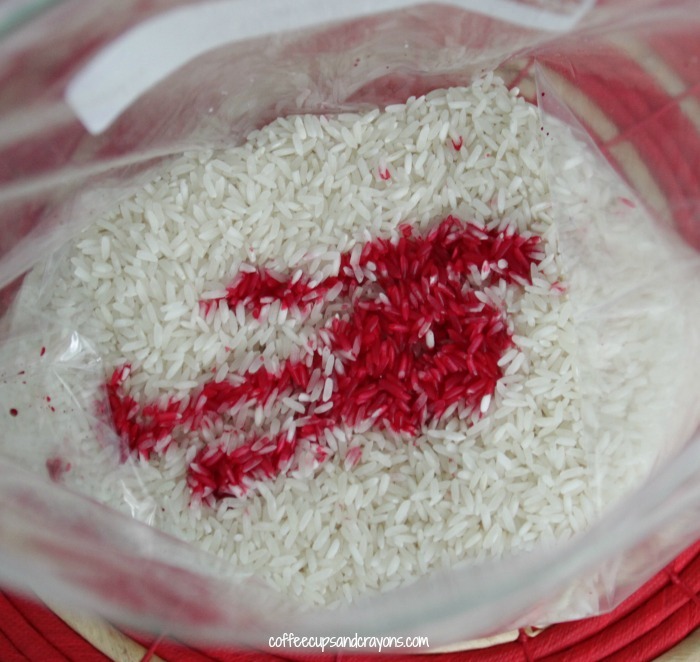 This rice sensory bin is super simple to make, especially if you’re a lazy rice dyer like me and just use paint! Liquid watercolor works best for coloring rice, but in a pinch I’ve just used regular paint too. 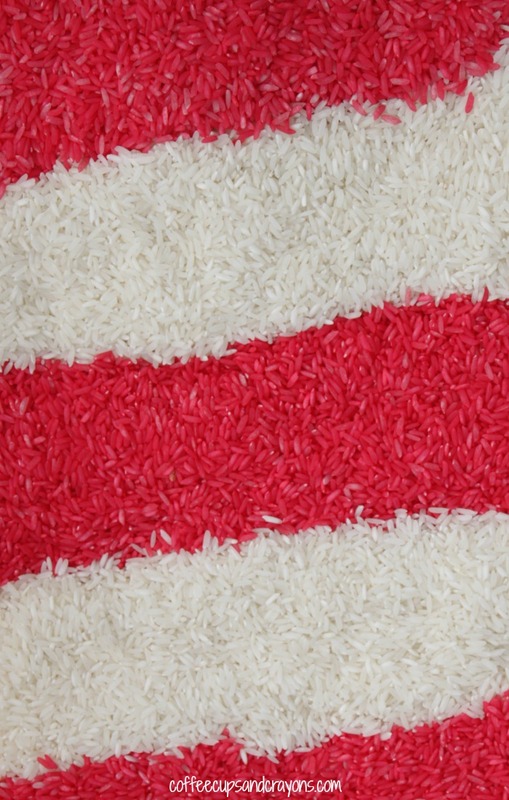 To color rice with liquid watercolors dump a bunch of uncooked plain white rice into a plastic bag. Squirt a couple big squirts of liquid watercolor into the bag and shake. If the color isn’t dark enough just add more and do some more shaking. We added peppermint essential oil to ours to give it a nice candy cane smell! The scent of peppermint is said to energize you and the kids just love the smell–a full sensory experience. 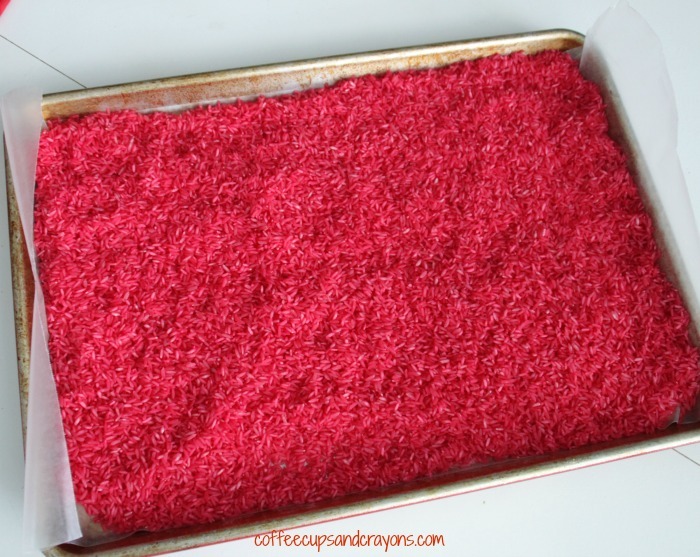 Dump out the rice onto wax paper to dry out. I usually put mine on a cookie sheet to contain it while it dries. After a couple hours it will be ready to play with…and your house will smell amazingly good! Adding scoops and cups and things to stir and pour with make a rice sensory bin fun and educational. Anything to encourage the kids to engage and explore the rice is great. The holiday colors and peppermint scent make it the perfect sensory material for this time of year. And the simpleness of the recipe means that you’ll have more time to cross some items off your holiday to do list…or just drink your coffee before it gets cold! 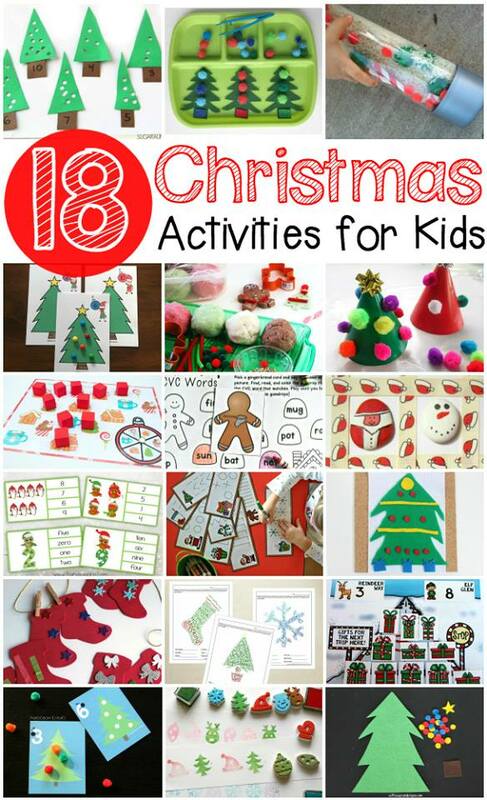 Looking for another simple Christmas activity to keep your kiddos busy? Try these!